Published on Sunday, January 5, 2014. 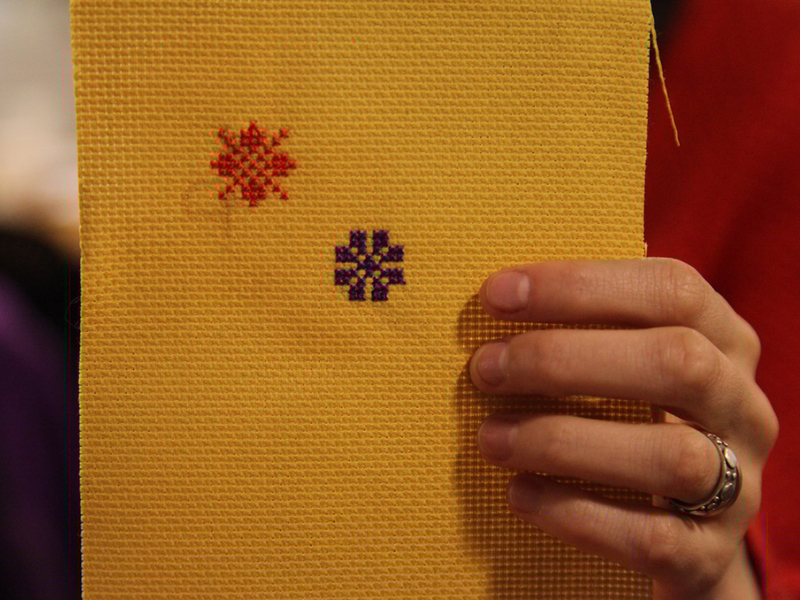 A Salon attendee in the middle of creating a cross-stitch ornament. Our December salon, appropriately titled The Holiday Salon, left the attendees in stitches and seeing stars. 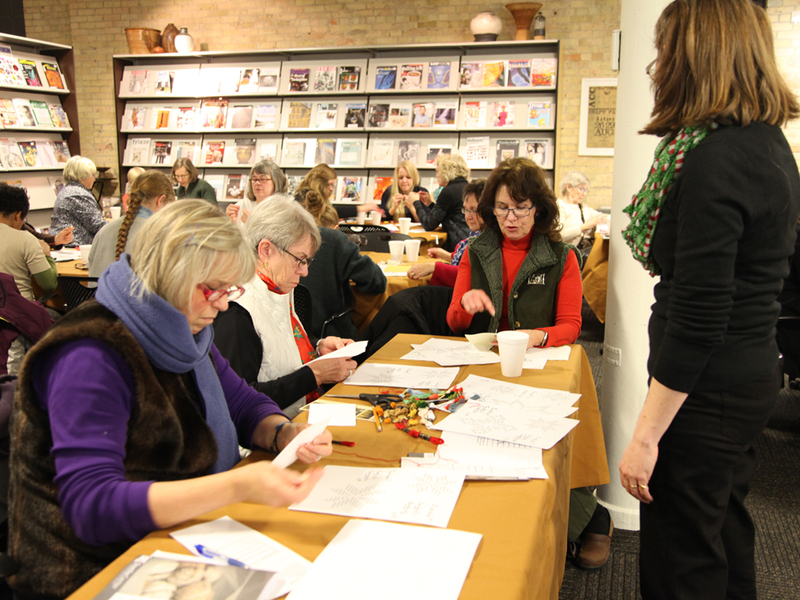 For the evening, the ACC teamed up with the Textile Center to allow attendees the opportunity to learn about holiday-themed embroidery patterns and to try their hand at creating their very own cross-stitched ornament. Talented fiber artist and Textile Center instructor Lynn Cooper led the program for the evening, talking about the history of the star design during the holidays for Scots, Danes, Swedes, Norwegians, and Finns, and providing instructions and stitching patterns for people to follow. Other representatives from the Textile Center pitched in by helping people with their ornaments. Before the evening festivities began, we had a chance to sit down with Cooper to talk about the Textile Center, her work, and the stitching patterns that would be discussed during the event. Two completed examples of cross-stitched stars from the evening. A member of the Textile Center assists guests with their projects. 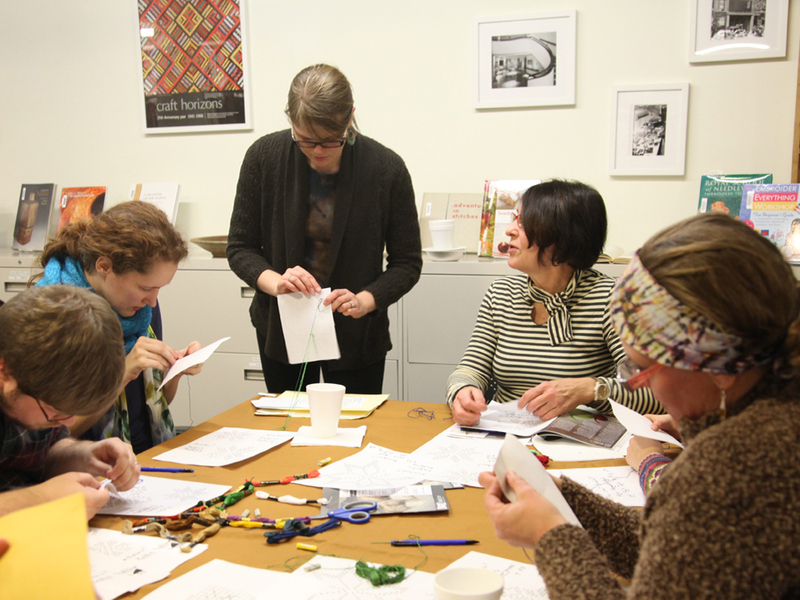 Attendees were engrossed in their ornament projects during "The Holiday Salon." The Textile Center teacher answers our questions.